Everybody’s free to feel love, right? But for these Hackney kids, it’s not quite that simple. Since Indigo’s dad killed her mum, she’s had a hole in the middle of her. Growing up in the care system hasn’t made things easier. How do you even get started with love when you know how wrong it can go? Bailey is also seventeen. He lives with his parents in Hackney, and spends all his time playing guitar and grooming his luscious ginger afro. When Indigo and Bailey meet at sixth form, sparks fly. 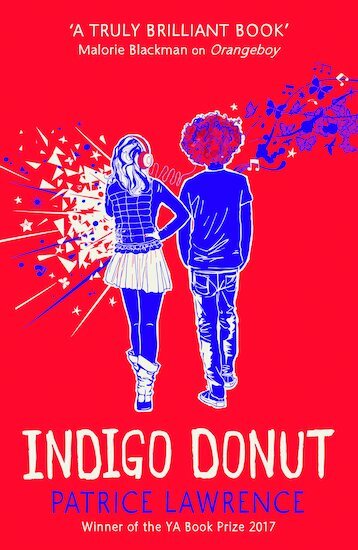 But can Indigo ever truly trust a guy? Can Bailey handle her furious explosions? And who is the homeless guy stalking Bailey, who seems to be linked to Indigo’s past?